YES, vegan Aladdin is rising. 1. Mena Massoud will play "Aladdin" in the upcoming Disney live action remake. Disney have announced that Canadian actor Mena Massoud will play the role of Aladdin in the upcoming live action remake. Massoud will star opposite Naomi Scott (Jasmine) and Will Smith (The Genie). When the annoucement was made, Mena tweeted "so honored & grateful for the opportunity to help bring this magical story to life once again. Let's get to work!" 3. 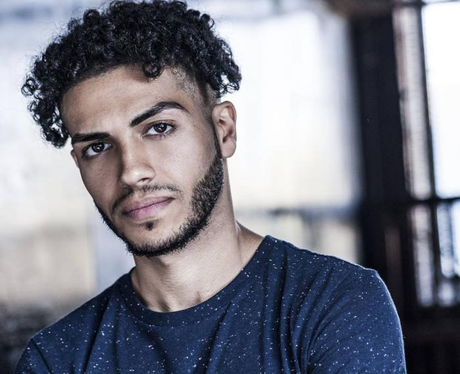 Mena Massoud has had guest roles on television but "Aladdin" is his break out role. Mena Massoud has been in television dramas like "Open Heart", "Combat Hospital", "Nikita", and "Saving Grace". While Mena has enjoyed steady work since 2011, "Aladdin" will be his biggest role to date. Mena also did voice work for the highly acclaimed Watch Dogs 2 video game. 4. Mena Massoud graduated from Ryerson University. Mena Massoud briefly attended the University of Toronto before transferring to an arts programme at Toronto's Ryerson University. "I left UofT after I auditioned and was accepted into Ryerson and I haven’t looked back from there," he told "The Arts Guild" in 2015. 5. Mena Massoud is a vegan and enjoys fitness. Judging from Mena Massoud's Instagram, the actor is a fitness fanatic. Mena frequently posts pictures of himself in the gym and on hikes. He has also indicated that he is a vegan. 6. What is next for Mena Massoud? Mena Massoud isn't taking a break anytime soon. He is in pre-production for "Aladdin" and a new Amazon series called "Jack Ryan". Mena will be working opposite John Krazinsky in the role of Tarek Kassar, a gifted CIA analyst.